RAKAI, Uganda—Richard Mutebi, a coffee farmer in Uganda, was drying coffee beans in his backyard last month when a police truck made an abrupt stop in front of his roadside home. What followed was a multiday stay in jail for the crime of spreading beans on the bare ground instead of upon a plastic tarpaulin. Uganda, Africa’s top exporter, is resorting to tough measures in a drive to increase the quality of its coffee beans, boost exports and bring home a crucial source of foreign exchange. The crackdown is a sign of how badly Uganda, a largely tea-drinking country that reserves most of its coffee for overseas markets, wants to boost export earnings. Coffee shipments abroad make up a quarter of the country’s foreign exchange earnings, a particularly valuable source of hard currency, as the Ugandan shilling sank around 20% in value against the dollar in 2015. The local currency has largely remained flat this year, partly supported by strengthening coffee prices. 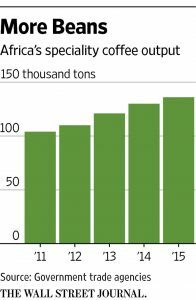 But the push to penalize coffee farmers who don’t comply with regulations is also part of a wider drive across Africa to tap into the world’s lucrative specialty-coffee market. Two countries—Brazil and Vietnam—together produce just over half the world’s beans, according to the U.S. Department of Agriculture. Africa produces around 11% of the world’s coffee, and on price, the continent cannot compete. Instead, producers from Ethiopia to Tanzania aim at high-end markets in the U.S., Japan and Europe, where their beans can fetch multiple times the benchmark price. 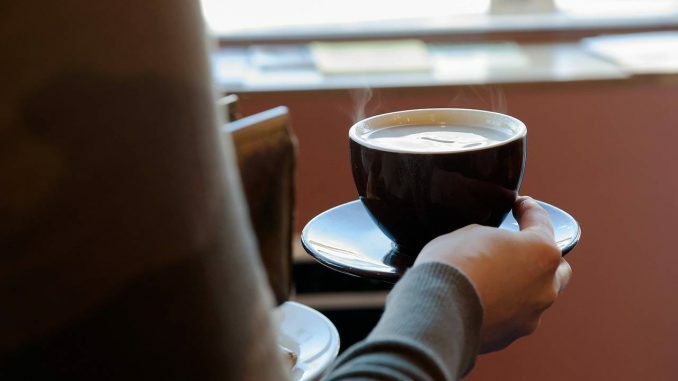 The National Coffee Association’s drinking trends survey in the past few years has put the preference for so-called gourmet coffee in the U.S. at around a third of what coffee drinkers said they consumed the previous day. To reach those markets, countries such as Ethiopia, Africa’s top producer, impose strict penalties for failure to meet quality regulations and require traders to export their top-quality beans, or risk jail time or a heavy fine. In Uganda, the hard-line approach threatens to sour relations with the country’s smallholder coffee farmers, who grow the beans on backyard plots as small as a quarter of an acre and typically receive around 50 cents per kilogram. “Farmers are really not to blame for what’s happening,” said David Muwonge, the deputy head of Uganda’s national coffee farmers’ organization, known as Nucafe. Farming projects, education and other incentives should be used to boost coffee quality rather than arrests, said Timothy Schilling, CEO of World Coffee Research, a nonprofit that works to increase coffee quality. The Ugandan government insists its enforcement approach is good for the long-term sustainability of the industry, farmers’ incomes and the country’s broader economy. In the 2015-2016 fiscal year that runs from July to June, the country saw 4.5% growth in gross domestic product, according to Uganda’s central bank, the slowest pace of expansion in five years, as world commodity prices slumped.